De Molenwiek – the Dutch school in metro Atlanta offers Dutch language and cultural education to children between the ages of 2 and 18. Our program consists of 38 weeks of 2,5 hour lessons and 4 cultural events throughout the year. We are governed by the Dutch Board of Education and use the similar teaching methods as ‘het basis onderwijs’ in the Netherlands. We also have adult classes available taught by a native speaker with experience in adult education as well as teaching Dutch as a foreign language. Classes are customized depending on the proficiency level of the students, as well as their goals and progress, and are focused on improving the students’ written and verbal skills. ‘De Molenwiek’ not only provides a quality education but also serves as an anchor within the Dutch and Flemish community here in Atlanta. We provide children, no matter if they are here for 2 years or a lifetime, with the opportunity to keep up with their mother tongue and stay connected to their family heritage and roots. After all our students are ambassadors for Belgium and the Netherlands in the US. As a director I try to facilitate a quality and fun education! We are unique just by the fact that we are the only school offering Dutch culture and language in the state of Georgia. We are part of a network of 15 schools here in the US. We stay in close contact with these other schools/directors throughout the year. ‘De Molenwiek’ was started by Simpha Savelsbergh in 2002. Her passion for the Dutch language and the joy of teaching children inspired her to put words into action. A lot of hard work resulted in de Molenwiek as we know it today. Currently, ‘de Molenwiek’ has 76 students attending our 8 different classes. We have 5 adults learning Dutch on Friday mornings. 14 teachers, both Flemish and Dutch, teaching; a governing Board and a lot of volunteers making it all happen! Like they say in the US ‘ it takes a village’! We moved here in 2009 when my husband was transferred for GE. Having lived in Houston and NY (where there was no ‘Dutch school’ close by) the first thing I did was enroll my 3 youngest sons at ‘de Molenwiek’. My oldest unfortunately already missed the boat. We never planned on staying in the US but we did! As a parent I can say that I’m so thankful we found de Molenwiek. My sons still read and write in Dutch and the community has been a wonderful experience. creating financial stability – There is always a tension of being accessible to all families and meeting our financial obligations. Optimizing our curriculum – We are continuously exploring if there are groups we can serve in our capacity as a school. That’s how we for example started with Dutch classes for Adults last school year. Expand ICT in- and outside the classrooms. Right now we use Ipads for the students to practice during school hours and our ‘groep 3’ is using software at home to reinforce what has been thought in the classroom. But this is hopefully only the beginning. In this case it’s not so much doing business with the Americans/Dutch as we operate in a specific niche. One of the highlights of these past years has always been our Advisory Board Meetings. The Advisory Board supports but also challenges us as a school. They have encouraged me to take the next step and not be scared of the future. I feel the progress we made as a school these past 3 years is inspired by their ‘critical’ questions and advice. It has been a honor and pleasure to be involved with de Molenwiek these past years. 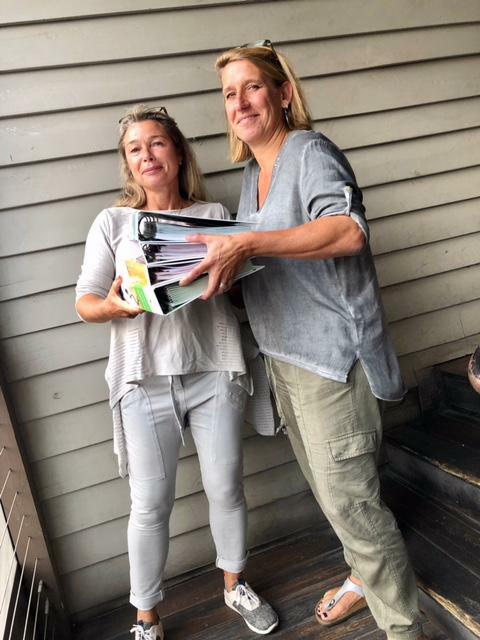 After 9 years we moved to Seattle, WA which means ‘de Molenwiek’ will have a new Director per January 1st of 2019 in the person of Ellen de Bliek!